There's A New Channel Strip In Town! 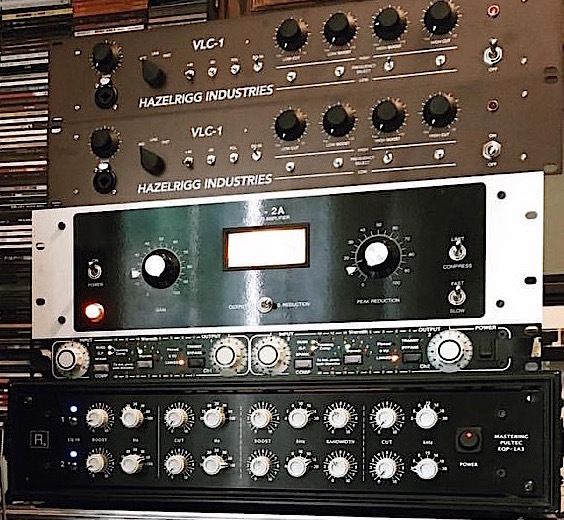 Few companies can boast they are direct descendants of one the world's most coveted rline of tube recording equipment, yet that is exactly what Hazelrigg Industries' new microphone preamp is. Brothers George and Geoff Hazelrigg, founded the company after Geoff spent six years working with legendary manufacturer D.W. Fearn, who produces some of the best sounding pro tube gear. 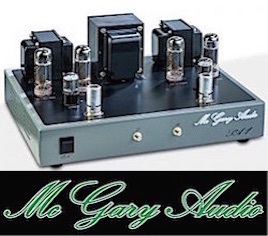 It turned out that the brothers and Doug Fearn had similar philosophies and a partnership was fostered with Doug Fearn entrusting his coveted VT-1 (Vacuum Tube Microphone Preamplifier) design to the brothers through an exclusive license. 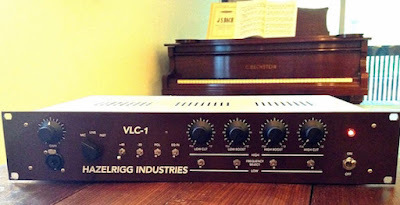 Thus was born the Hazelrigg VLC-1 and the opportunity for a new generation to discover what has been described as the Rolls Royce of studio equipment. George and Geoff Hazelrigg have been professional musicians and engineer/producers for more than a decade. George went to school for recording in New York City learning on MCI consoles and Studer tape machines. After returning from school, George and his brother Geoff started their own “gorilla” recording studio. In time, they developed a passion for vintage recording gear. Out of necessity Geoff learned DIY electrical engineering to maintain and repair the classic gear. Soon they were selling off one piece at a time of equipment to finance building two of their own. One day after a jam session, a friend told Geoff he should link up with D.W. Fearn. Luckily, the timing worked out and soon Geoff was working alongside Doug Fearn. The Hazelrigg VLC-1 is a world-class channel strip that makes it easy to capture and shape any source, but it also has a flexibility that allows for fast-paced work flows, allowing the user to have confidence in on-the-fly decisions. 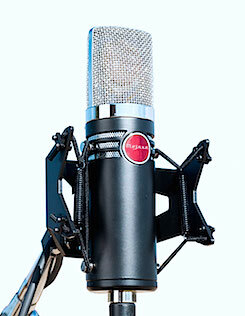 In a short time, Hazelrigg has already delivered dozens of VLC-1’s to engineers and studios around the world. Geoff adds, "We have a similar philosophy to D.W. Fearn in the sense to always get the best sound quality. And it’s about handling the dynamic energy. And with the Fearn stuff you get all the peaks; you can capture all the information. There are no induced third order harmonics from OpAmps or FETs. That's what Doug really made us hear, all the third order harmonics." The D.W. Fearn equipment has a particular demographic; high-end studios and established artists and producers. Each piece is hand built, made to order out of many custom parts and heavy rock solid milled chassis. The quality is second to none and the price reflects this. The brothers, on the other hand, are gorilla engineers trying to compete with bigger budgets, which represent the state of the recording industry. 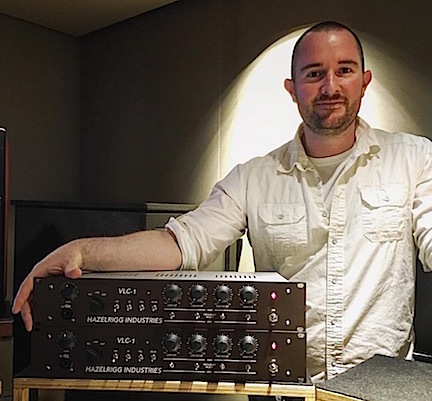 The newest generation of professionals are often at a disadvantage to their older peers in terms of high-quality, cost-prohibitive equipment — vintage or otherwise. George and Geoff wanted to build something for their fellow producers and engineers. 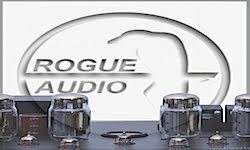 They struck an agreement with Doug Fearn to license the VT Series tube preamplifier and power supply designs. They would maintain all the quality but reduce manufacturing costs. By combining efficient assembly, circuit boards, Laser CNC metal work, smaller lighter chassis, and direct sales with no dealer network; the Hazelrigg brothers have re-imagined a modern channel strip that fits perfectly into the modern minimalistic work flow. Hazelrigg Industries VLC-1 is a tube microphone preamp, DI, line-driver and passive equalizer. The Class A tube topology features one 12AY7 tube per channel, transformer-coupled inputs and outputs; the EQ features custom inductors. Front panel controls are laid out in a clean, linear fashion. From left to right: Gain, Input Select, Locking 48V Phantom Power Safety Switch, -20 dB Pad, Phase reverse, EQ In/Out, and EQ Controls. The EQ controls are divided into four bands (Low Cut, Low Boost, High Boost, High Cut), each with two frequency options. The shelves for boosting and cutting can be combined for flexible tone shaping. For added convenience there is a front panel Neutrik connector for mic/DI input. The rear panel has discrete Line and Microphone XLR inputs and a single XLR output. 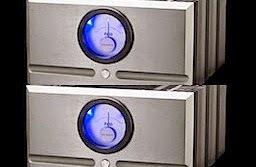 Built in a 2U rack chassis construction is solid and well built but not monstrously heavy as the comparable Fearn VT-1. When I unpacked the flight case containing a stereo pair of VLC-1’s, I quickly toured the front and rear panels to see what I was working with. I immediately noticed the EQ section and line-input switch, then I knew I wanted to try this on my 2-bus. I took the outputs of a Trident (Oram) 16t into the VLC's Line input which fed the analog-to-digital converters of my Mytek 8x192. I used the main outs as opposed to the inserts because there is no bypass for the VLC-1 (not the biggest deal); this way I could monitor my master fader without the VLC's then flip to the 2-track return and listen to the tube line driver and EQ. This also allowed me to flip to microphone or DI and record into the same channels I would print my mix. This took some getting used to but ultimately proved to be handy in time saving workflow. Setting up for a female vocal, I brought out my trusty Microtech Gefell um92.1s, a German large diaphragm tube condenser. It's very clean and true especially in the upper midrange and sibilance. I usually use the preamps on my console, but use additional outboard EQ and compression to achieve the sound I'm after. Pairing the Microtech with the Hazelrigg was immediately striking. While I’m familiar with the vocalist and microphone, the sound I heard using the VLC-1 resulted in a more natural, detailed, lifelike audio. The quiet was quieter and the ambient space more revealing. I felt like I was hearing the microphone, simultaneously, free and controlled. While I’m familiar with the vocalist and microphone, the sound I heard using the VLC-1 resulted in a more-natural, detailed, lifelike audio. The quiet was quieter, and the ambient space more revealing. I felt like I was hearing the microphone, simultaneously free and controlled. I could hear more of the subtle dynamics (lip sounds, vibrato, breath, and gliss), but it was also held together, as if I had a very clean compressor though there was none. Switching in the EQ with all the knobs down, technically flat, added a dimensionality to the sound that I could only describe as holographic. With the Low Cut band in the low frequency position, I rolled off rumble but left the meat of the vocal intact. Pushing the Low Boost in the high frequency position, I added less than a quarter turn to get a little push and fullness without adding boominess. Finally, I used the High Boost in the High frequency position and “opened” up the top end. A little less than a half turn and the air came into the performance without getting biting or too ess-y. Bypassing the EQ was interesting because it felt so much the same just less exciting but not dull. Re-engaging the EQ still felt natural and smooth but better and sat right in the mix. After we finished tracking my vocalist said it was easier to pull away from the mic than usual, I can only attribute this to the VLC-1. Later in the session, while working the new accompaniment into a verse section the vocalist was inspired and wanted to grab an idea she was hearing in her head. I always keep a handheld mic at the ready for these kinds of situations. This time I plugged it straight into the front panel of the VLC-1 and got a new track recording. As she started singing, I pulled up the gain into the mix coming off my nearfield monitors. Once I got levels I flipped on the EQ and dialed in a sound. In less than 30 seconds, I had one of the best tones I've ever gotten out of the hand held mic! Later my singer would say, "it turned our jamming into a final cut and worked as a catalyst." As an engineer and gear geek, I am used to my clients unaware of what technology goes into achieving a good recording. The goal of recording is to get out of the way of the talent, so if they don't notice the process and can focus on making great music, that's perfect. But if they notice and respond to the process and feel inspired that's something special indeed. The tube DI is tremendously clean, a sound and feel that is uncommon in the world of DI's. I'm used to plugging my guitar and bass into amps and even very good DI's and getting a sympathetic response from the circuit. This feeling affects my playing and timing; a listener may or may not notice the differences, but a player definitely does. The VLC-1 DI has the unique character of having almost no character at all. I say almost because the transparency has just a touch of warmth and “pillowy-ness” to it. Imagine standing in front of a vast, wilderness landscape and now imagine an Ansel Adams photograph of the same view. Reality is real, but the photo has all the detail but also a texture that transforms the reality into art. The tube DI is tremendously clean. I'm used to plugging my guitar and bass into amps and even very good DI's and getting a sympathetic response from the circuit. This feeling affects my playing and timing; a listener may or may not notice the differences, but a player definitely does. The VLC-1 DI has the unique character of having almost no character at all. The VLC-1 translates all the dynamics, and I mean all the dynamics, of playing a magnetic pickup instrument. The tiny finger noises and string clicks to the rattling and hard pick hits of really digging in. Sloppier players will suffer, but technical touch oriented players will shine. I'm certain if I played day in and day out through such a revealing sound, I would become a better player. I found it easier to edit together a bass part that was tight and clean. Instead of scrutinizing okay parts and good parts, the good parts were great and the okay parts felt sloppy. What I especially appreciated was how the DI handled big chords. Each note had its own size and depth while still gluing together in a musical fashion. Mentioning my experience to George Hazelrigg, he said, "Anything that we plug into the DI instantly changes how the instrument feels — even with a keyboard. You instantly feel more connected to the instrument, the tops of the keys feel more immediate." I agree one hundred percent. I started bussing out my mix from Steinberg’s Nuendo 7. I assigned 16 outputs from my Mytek 8x192 converters into the tape returns of the Trident 16t. I monitored and got a mix going listening to the main outs without the VLC’s in signal. Once I got a good rough mix in place, I flipped over to my two-track return and started dialing in the Hazelrigg’s line stage. Before I started listening I started with all switches down (these are the default settings) and had the gain at -∞. Since the line gain is set with a potentiometer, I metered my levels with mono material (i.e. kick, snare, bass). As I pulled the mix in, I noticed how hot the signals got with less than a ¼ turn of the gain knob. A quick consult of the manual revealed a suggestion to engage the pad for line-level sources. Flipping the pads on for both units I could then dial the gain almost to max to get my digital input meters averaging around -10. Once I was level matched and felt confident in my headroom I brought in the rest of the mix and started to A/B. Flipping my console back to direct monitoring and the two-track return, I could really hear an extra level of class and depth in the mix. The mix running through the VLC pair was still punchy, clear, and dynamic, but also more relaxed and lifelike. On the other hand, the dry outputs felt cold and less pleasing. Back to the two--track return, I heard the same mix held together and more evenly distributed across the sound stage. Next, I turned on the EQs with all boosts and cuts at zero. This was perhaps my favorite trick with the VLC-1 duo; I could immediately feel a more spacious holographic image. The sound stage got deeper while the center became more solid and forward. After, I turned up the Bass Boost and found that a little goes a long way. The shelves are very gentle and smooth. I wouldn’t use this EQ to get an aggressive bass hit. instead they shape what character is already there. Switching between the two frequency choices which I can describe as heft (low) vs. boom (high). I settled for heft and then pulled a little low end back with the Low Cut in the Low frequency position. Where the EQ really shined, of course was pushing the top end. It almost felt like there couldn’t be too much. I learned that the smoothness and clarity had to be just enough. Though I found it so pleasing to experience the open “airy” top I could also hear it affecting the balance of the mix more than being irritating and harsh. Switching the frequencies of high and low I could really hear the difference between the two. The high-frequency EQ boosted percussion, and the air of vocals and guitars, while the low frequency added upper midrange body to vocals, guitar, and snare. Not wanting to disturb the midrange presentation, I stayed with the high-frequency boost. 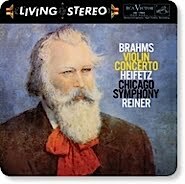 Now the interesting thing was using the High Cut didn’t dull the sound as much as it calmed or tempered the high end. I would even say it helped sweeten the mix giving it a polished controlled presentation. Bypassing the EQ was like deflating a balloon. And switching monitoring back to dry output was jarring to say the least. Going back to the two-track with the EQ engaged was like going from a demo to a final mix. The debut release from Hazelrigg Industries continues the D.W. Fearn heritage. 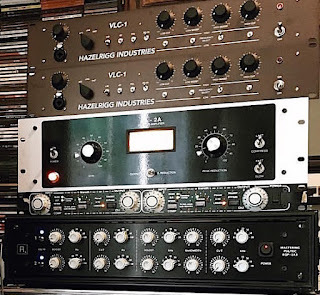 Just as D.W. Fearn furthered the classic RCA tube sound with his newer designs, the Hazelrigg brothers share an uncompromising approach to creating the highest quality audio recording tool. They also embrace modern approaches to further the capabilities and performance of their equipment. The Hazelrigg VLC-1 is a world-class channel strip that makes it easy to capture and shape any source, but it also has a flexibility that allows for fast-paced work flows, allowing the user to have confidence in on-the-fly decisions. In a short time, Hazelrigg has already delivered dozens of VLC-1’s to engineers and studios around the world. 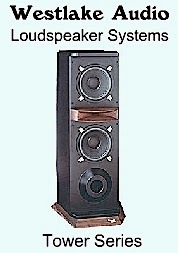 Any studio would benefit from having these in their equipment arsenal, my studio included. The VLC-1 also gets the Everything Audio Network Stellar Sound Award in the home recording equipment category. We are very impressed with this channel strip. Chibon Littlefield is a musician and recording engineer, based in NYC and Washington, DC. You will also catch him at audio trade shows as the busy demo guy for Mytek Digital. Everything Audio Network is based in Kensington, Md. Articles on this site are the copyright of the ©Everything Audio Network. Any unauthorized use, via print or Internet, without written permission is prohibited.